The Muslim Brotherhood (Jamiat al-Ikhwan al-muslimun) was established in 1928 in Egypt by Hassan al Banna and now has branches in some 70 countries. For a brief history of the organization, see here and here. Hamas is one offshoot of the Muslim Brotherhood and is both ideologically and practically linked to the parent organization. The spiritual guide of the Muslim Brotherhood is Egyptian-born Sheikh Yusuf Qaradawi who now resides in Qatar and has a regular slot on the regime-owned Al Jazeera TV. 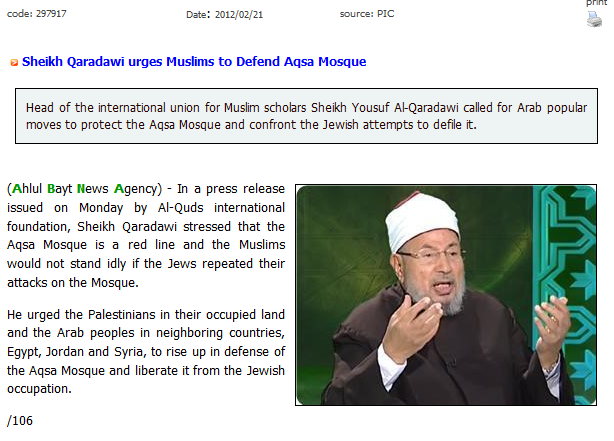 Qaradawi heads numerous Muslim Brotherhood organisations including the ‘Union of Good’ – proscribed by the US and Israel due to its funding of Hamas terror operations. In February 2011 Qaradawi spoke in Tahrir Square in Cairo, telling the crowds that he prayed to “witness the conquest of the Al Aqsa Mosque”. This theme was continued in the following recent press release. The Muslim Brotherhood’s umbrella organization in Europe is the Brussels-based ‘Federation of Islamic Organisations in Europe’ (FIOE). In 2007 it created the ‘European Campaign to End the Siege on Gaza’ (ECESG) which is one of the main partners in the flotilla-organising alliance. GMJ organisers Zaher Birawi and Mohammed Sawalha are both connected to the ECESG. 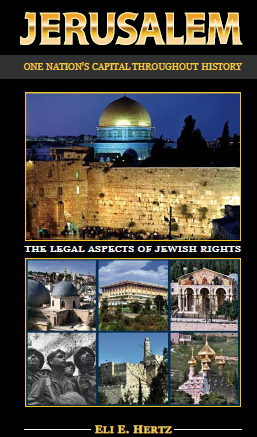 On February 27, 2012 the FIOE put out an announcement indicating that it too is taking part in the organized global campaign of incitement against Israel through use of the pretext of ‘danger’ to the Al Aqsa Mosque.